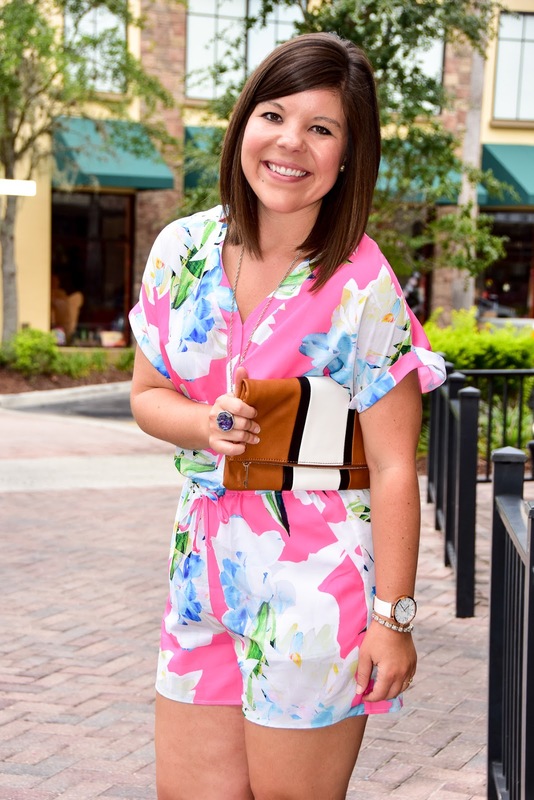 I recently wore this romper out for a fun night of Mexican cuisine (my favorite) and it was perfect! I feel like bright colors and Mexican food go hand-in-hand (ha!) so I was totally dressing for the occasion here. 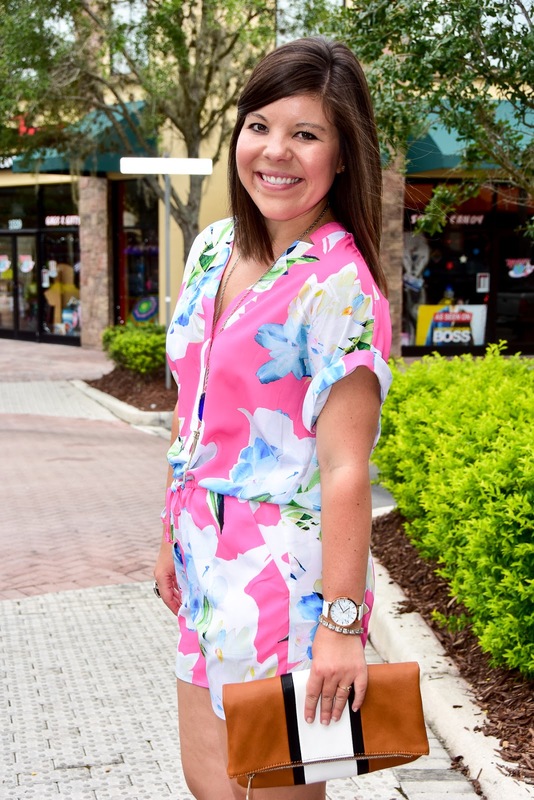 I love that this romper is roomy, so there is plenty of room for that extra helping of guac, but “shows a little leg” to keep the sass factor up! 😉 Also, in full transparency, it was pouring rain that night so I traded the sky-high wedges for these sandals. Because who wants to break an ankle on their date?! But next time it’s sunny you can guarantee that I will be rocking these babies without hesitation! Hope y’all have a marvelous start to your week! It’s going to be a busy one around these parts, so there may be a few less frequent posts as I try to balance out my personal life (aka “life behind this blog) 🙂 See you back here Wednesday! Linking up with the Trend-Spin Link-Up. Dressing Room Diaries + Memorial Day Weekend SALES! Previous Post Football Friday: How to Style Orange for Your Favorite Team! This is adorable and perfect for date night, rain or shine! Gorgeous, as always! I love this! Dating is so fun–I hope y'all had a good time! 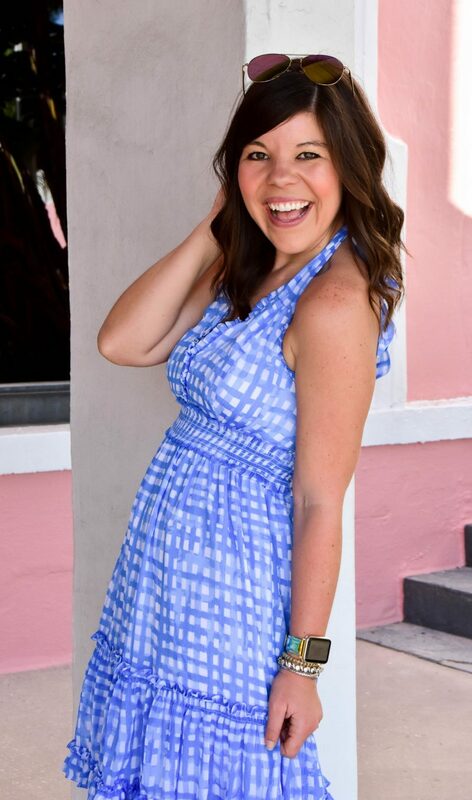 Such a cute romper and how exciting about dating! That romper is so so so cute! I swear, I've yet to try a romper. I'm always afraid I'll look too silly because I'm short! Also – exciting about dating again! There's something about the fresh challenge and possibility 🙂 wishing you luck! 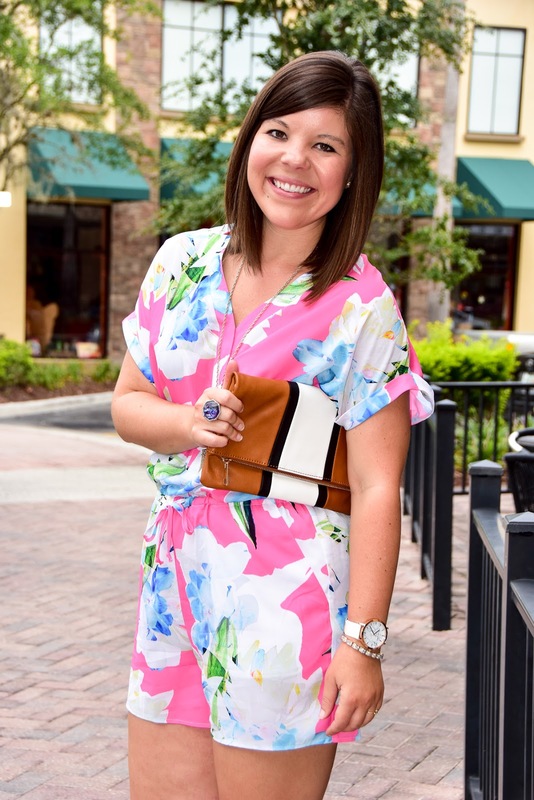 How adorable is your romper!? I need it for an upcoming trip to Florida! 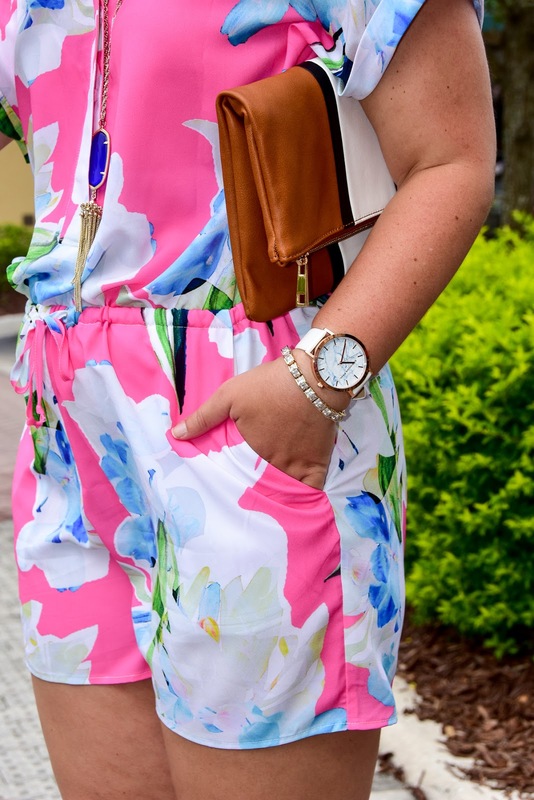 the romper is so cute! What a cute Summer look! That romper looks so great on you! Great colors.